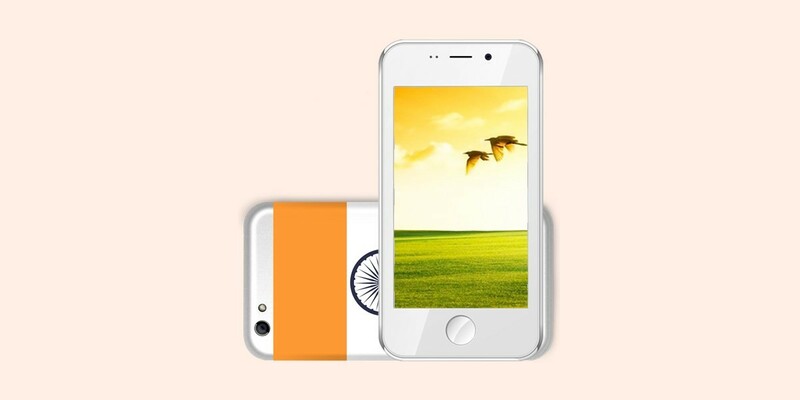 Indian phone manufacturer Ringing Bells has launched the Freedom 251, an Android Lollipop 5.1-based device that’s priced at Rs. 251 ($4), making it the world’s cheapest smartphone. The 3G dual-SIM handset features a 4-inch 960×540 pixel display, a 1.3GHz quad-core processor, 1GB RAM and 8GB of internal storage. You can add up to 32GB more room with a microSD card. There’s also a 3.2-megapixel rear camera and a 0.3-megapixel shooter in front. A 1,450mAh battery rounds out the package. Find it hard to believe? You’re not the only one. Besides the unprecedented price point, it’s also worth noting that the device initially shown on the company’s site and the one shown in its newspaper ad didn’t remotely resemble each other. In fact, the handset first seen online looks more like Ringing Bells’ $45 Smart 101. After its launch event, the company updated its site with images of the actual device. While the company told Gadgets 360 it built the device with ‘immense support’ from the Indian government, it remains to be seen how the Freedom 251 actually performs. Even if its components were highly subsidized to bring down costs, it’ll be a miracle if Ringing Bells, a relatively unknown brand, can produce a well built phone with decent performance at this price. The company will begin accepting bookings for the Freedom 251 from 6AM on February 18 and ship orders by the end of June.